Fall is here! 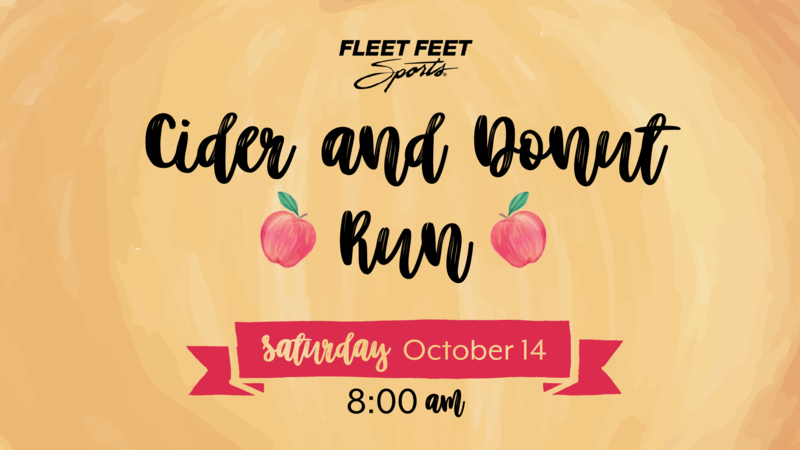 - Celebrate with us on October 14 for a Saturday morning run followed by apple cider and donuts. The 3-5 mile fun run leaves the store at 8:00 am.